Mikawaya (pronounced “me-kah-wah-ya”) has been specializing in fine Japanese pastries and desserts since 1910. Our business is named after founder Ryuzaburo Hashimoto’s hometown in the Mikawa province of Japan. Frances Hashimoto, the youngest grand niece of Ryuzaburo, held the key to one of Mikawaya’s best-kept secrets: the recipe for the perfect Mochi dough, which has remained our staple for so many years. And by combining our signature dough with sweet, creamy ice cream, we created something truly special. 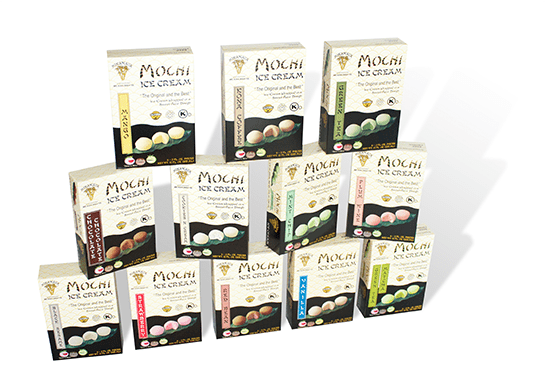 Today, we pride ourself in offering this traditional, handmade treat in freezer sections throughout the U.S.
We are proud to provide the original and the best premium Mochi Ice Cream. Because our top priority is customer satisfaction, we ensure the highest quality production for our Mochi Ice Cream. At Mikawaya, we know that Mochi isn’t just about having any dessert. It’s about having a fun and special experience that makes the little moments meaningful. We created this unique gourmet ice cream treat that bring friends and family together so that you can share a happy moment and let the stress or worries of your day melt away.